One of the malls situated at a historical landmark in the country, Tutuban Center honors Gat Andres Bonifacio. During his 152nd birthday the mall which rests at the historical Tutuban train station held a very solemn wreath-laying ceremony during Bonifacio Day, November 30. 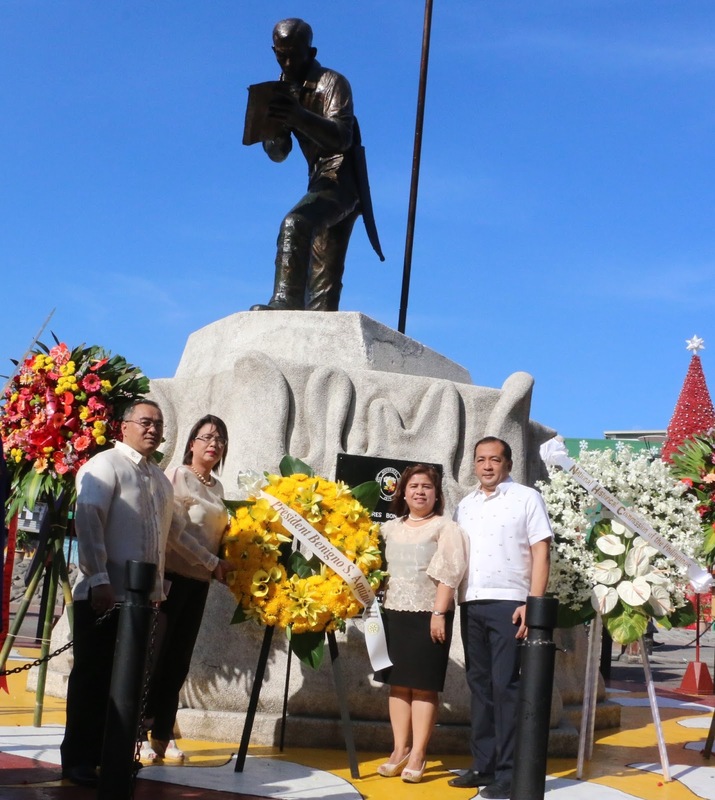 The ceremony was held at the Bonifacio market site fronting Tutuban’s main building to commemorate the celebrated hero. Joining the ceremony where (From L-R) Engr. Ted Mosquito, AVP for Safety & Compliance, Tutuban Properties, Inc.; Sylvia Tecson, VP for Leasing & Marketing, Tutuban Properties, Inc.; Carminda Arevalo, Deputy Executive Director for Administration, National Historical Commission of the Philippines and Obet Asilo, Councilor of 1st District of Manila. Meanwhile, for those who want to visit Tutuban Center, now is a great time since there are tons of surprises and happenings during the season. For more information you can visit their Facebook page.